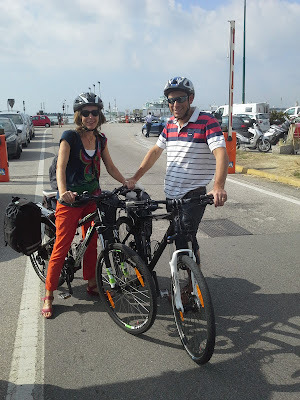 Veloce ® cycling and bike rental company : From Venice around Pellestrina, Chioggia, Padova, Lido, ecc. From Venice around Pellestrina, Chioggia, Padova, Lido, ecc. Our customers during pick up of high quality bicycles provided for rent and delivered at the Tronchetto dock in Venice to enjoy short cycling vacation around Pellestrina, Chioggia, Padova and Venice Lido.